What would happen if you had an accident, illness or injury which meant you were unable to make your own decisions? Would you want someone you could trust to help and support you, and to help make decisions on your behalf? If the answer to that question is ‘yes’, then you should strongly consider appointing a ‘Lasting Power of Attorney’ (LPA). The information below provides you with all you need to know about setting up an LPA. LPA’s allow you to appoint someone you trust to make decisions on your behalf, if you lack the physical or mental capacity to manage your affairs, or you no longer want to make decisions for yourself. Mental capacity means being able to make your own decisions. 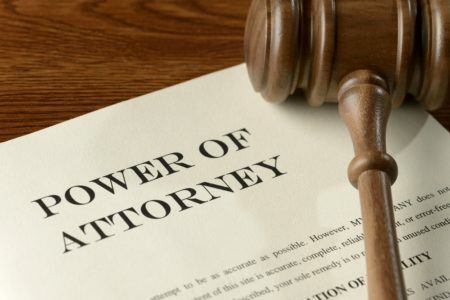 Why should I have a Lasting Power of Attorney? Making an LPA enables you to plan how your health, wellbeing and financial affairs will be looked after at a time when you can no longer make decisions yourself. This is particularly important for beneficiaries of the Thalidomide Trust because you will receive money from the Trust for the whole of your life and may have complex health issues which are often misunderstood. It’s important that someone you trust knows what your wishes would be and is able to make the right decisions for you. How you want those people to make these decisions. If you do not have an LPA in place, and you become unable to deal with your affairs yourself, then a relative or other appropriate representative would have to make an application to the Court of Protection to be appointed to make decisions on your behalf as your “Deputy”. This can be a costly and time-consuming process and means that you have no control over who is appointed to be your Deputy, or what decisions he or she can make. It can be reassuring for you to know that, if you’re unable to make a decision for yourself in the future, the person you choose will do it for you. Giving them lasting power of attorney ensures that they – and no-one else – can make decisions for you – and prevents strangers, or people you might not trust from having this power. Without an LPA your loved ones will find it very difficult to manage your financial affairs for you effectively as they will not have the legal authority to do so. Are there different types of LPA? You can choose to make someone one type or both. Download our factsheet to find out more information about Lasting Power of Attorney, including how to set one up.